The 128+1 Linear Infrared Sensor Array from Pyreos Ltd. features sensitive sensor pixels for applications in gas analysis, oil condition monitoring and food safety. 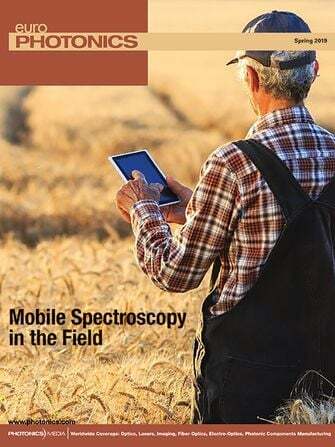 The devices can be used in battery-powered spectrometers. A range of 128-, 255- and 510-pixel passive pyroelectric linear MIR sensor arrays are available for gas and liquid spectroscopy applications. The package also includes a CMOS readout IC that uses low noise current amplifiers to pre-amplify the multiplexed analog output of the sensor arrays. The arrays come in a compact 32 × 23-mm, 16-pin package and include Linear Variable Filters (LVFs). A LVF allows each pixel to see a specific part of the overall spectral range of the LVF, 2.5 to 5.0 µm or 5.5 to 11.0 µm. As a result, no moving parts are needed. Looking for Variable Filters? There are 6 companies listed in the Photonics Buyers' Guide. When you click "Send Request", we will send the contact details you supply to Pyreos Ltd. so they may respond to your inquiry directly.